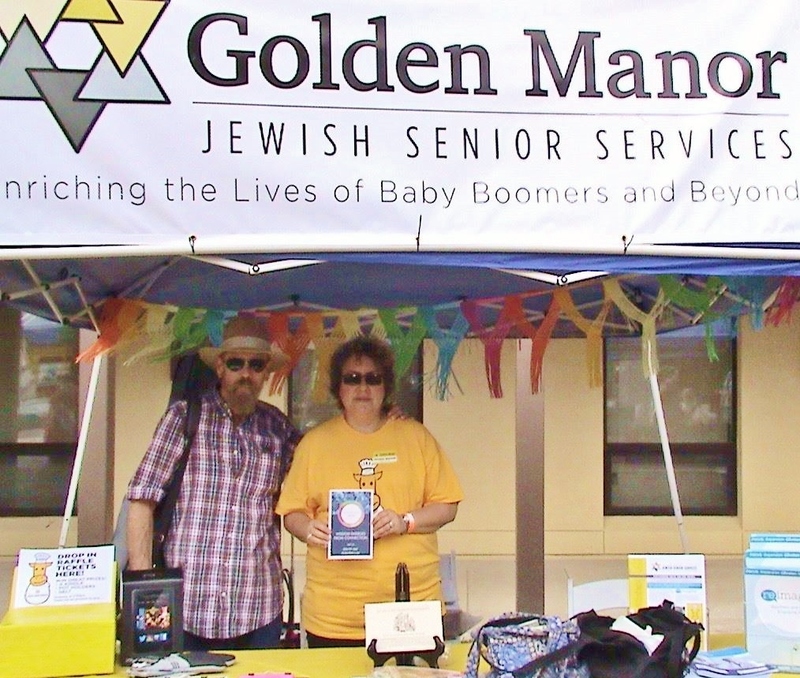 While attendees sampled kosher BBQ with a live band playing in the background, Connected Wisdom representatives, Debbie and Charlie Wood, shmoozed with the enormous crowd milling the grounds set up with food, gift, t-shirt, and Jewish organization’s booths. They handed out flyers describing the courses and programs offered by Connected Wisdom to guests from a wide variety of Jewish congregations and organizations enjoying the popular kosher BBQ event. There is nothing like good food and a good cause to connect community. Everyone present was curious to learn about the wide variety of exciting Jewish happenings going on within the San Antonio area. “ We handed out fliers to people that came from other synagogues and told them about our classes,” said Debbie Wood. 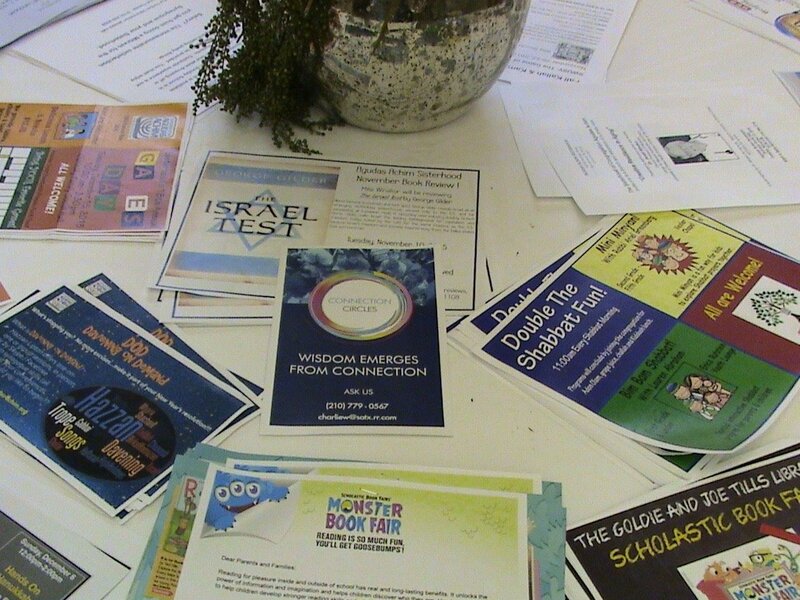 The flyers for the Connected Wsidom course currently being taught by trainers Debbie and Charlie Wood at Congregation Agudas Achim, Wisdom Emerges From Connection, quickly disappeared from the Agudas Achim booth and had to be quickly refilled. Jews from Texas were fascinated to learn about Connected Wisdom. 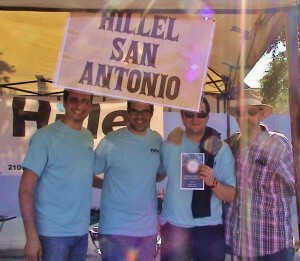 For example, upon hearing about the many programs and courses available through Connected Wisdom, Alan J. Yancelson, Head of Student Life at San Antonio Hillel, remarked, “How come I don’t know about this!? 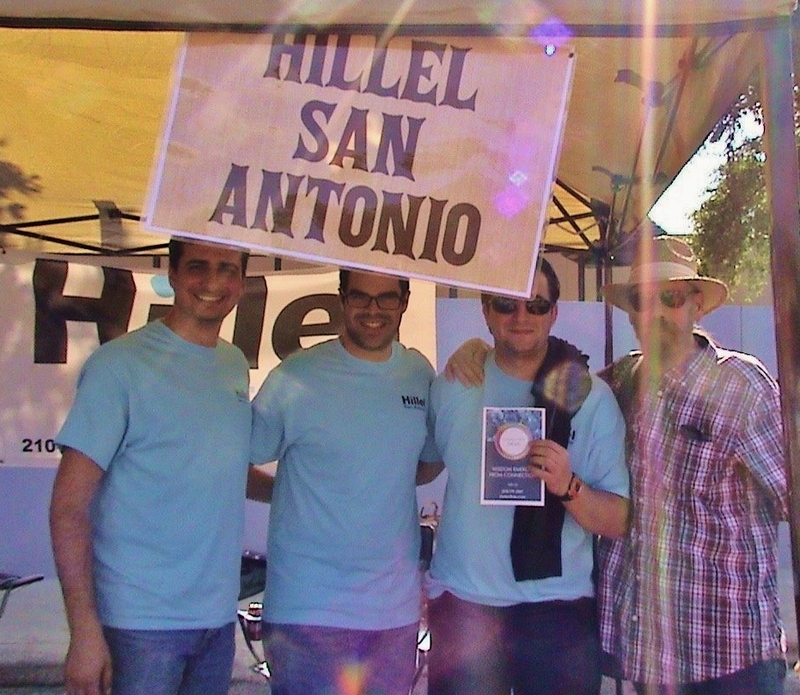 Of course I want to know about this!” Debbie and Charlie exchanged contact information with the main organizer from the San Antonio branch of Hillel, made arrangements to provide him with additional information and to meet with him in the near future. 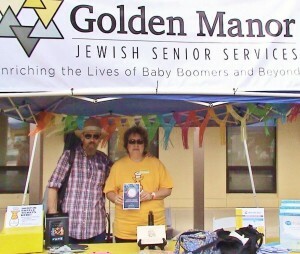 Volunteers from Golden Manor Jewish Home for the Aged and Golden Estates Senior Adult Living Center were also particularly interested in Connected Wisdom’s family relationship programs. They eagerly took a bundle of flyers and business cards to share with organizers at their facilities. They hope to organize a meeting between Connected Wisdom lecturers Debbie and Charlie Wood and their executive director to hear a presentation on Connected Wisdom and its programs.